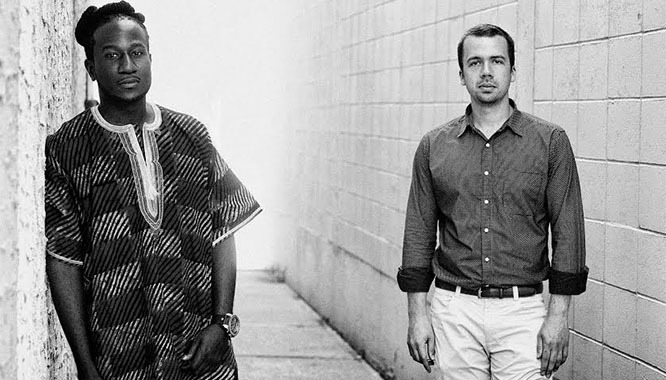 Toki Wright and Big Cats will perform at Eau Claire’s House of Rock on Thursday, Feb. 19. This is the first Eau Claire show for the Minneapolis-based rapper and producer since the release of the collaborative album, “Pangaea,” released in September 2014. This is not the first time Wright has played House of Rock, and he is looking forward to returning. Last April, Wright performed there with Dessa, another Minneapolis-based hip-hop artist, though he promises a different vibe this time around. Indeed, the roster features a wider variety of guests this time around: from “NBC’s The Voice” Ashley DuBose; Bomba de Luz’s front woman Lydia Liza; and local Eau Claire acts Sayth and Soslylove. As someone that’s performed sold-out shows over several continents, Wright is also familiar with the differences in how people act at concerts. Raised in a Buddhist household, the religion’s ideas of living a moral life have clearly affected Wright. He is incredibly socially involved, and any Internet search will give you countless links to benefit concerts and goodwill projects Wright has been a part of. In 2013, Wright was chosen by the United States State Department to be an Art Ambassador, leading him to teach and help in Sierra Leone, West Africa. Being so aware of social and cultural issues has come with its own set of hardships, however. During production of “Pangaea,” Wright suffered from depression. When asked about dealing with depression while being creative, Wright responded, “If you’re aware of how this world operates, and how cruel we can be, and how kind we can be at the same time, it’s going to play on your psyche. It’s going to play on your mind to know that we have such varying degrees of thinking and varying degrees of treating each other. Wright clearly knows what he is talking about, as referenced by several tracks on the album. Before he started collaborating with Big Cats, he had done work for a solo album, which files were ultimately lost in a house fire (though “Permanent,” Wright explains, is the only track on “Pangaea” that was on the original album). After the house fire, collaborations with Big Cats began and “Pangaea” went on to make several top 10 lists of 2014. “I dig Eau Claire a lot and the cool people out there.” The Eau Claire area digs you too, Toki Wright. Toki Wright and Big Cats play the House of Rock in Eau Claire on Thursday, Feb. 19. Tickets are $7, doors open at 8 p.m. and the show is 21+. For more information on Toki Wright, check out his website at soultools.com and follow him on Twitter @mcwrighttc.